After some unpicking, pinning, basting, unpicking and re-pinning, I managed to dodgy my way ahead with some passable box pleats. 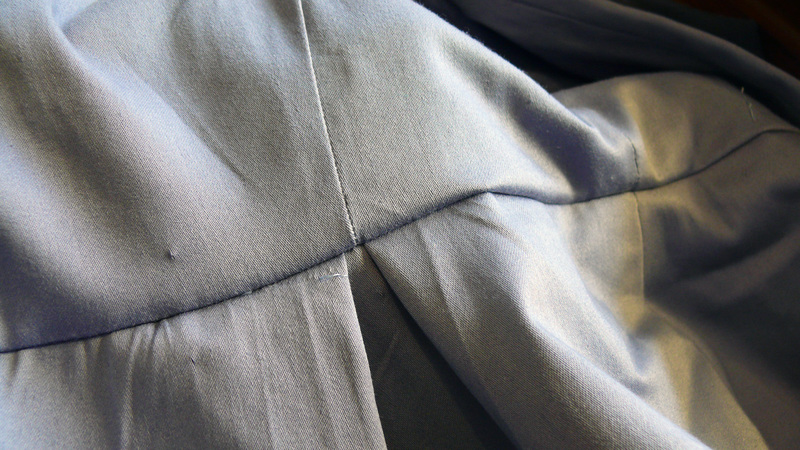 It is probably the most obvious fix in the world, but I thought I’d take pics and do a tutorial on how I went about conquering the pesky pleats. Note: I had no trouble matching the box pleats to the princess seams on my bodice front. It was only the back of the dress where I had issues, but I’d say the same rules apply. 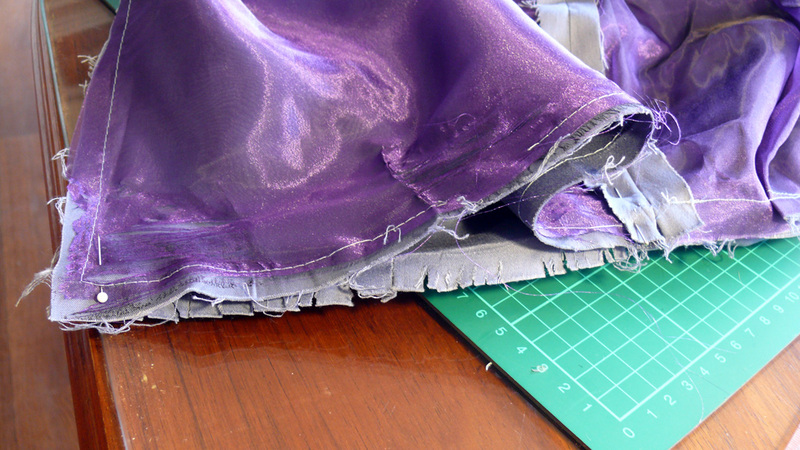 As long as your side seams match, you can add or remove as much fabric as you need IN the pleats to get them to line up with your princess seams. 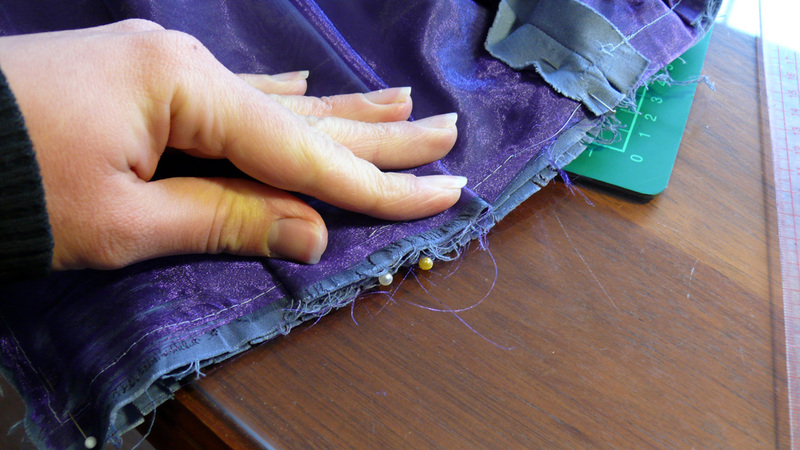 Match your skirt side seams to your bodice side seams. If you’ve already sewed the box pleats and are unpicking them to re-sew them, make sure you give your skirt a good press to remove any indication of where the pattern thinks the pleats should be. The pattern is lying. 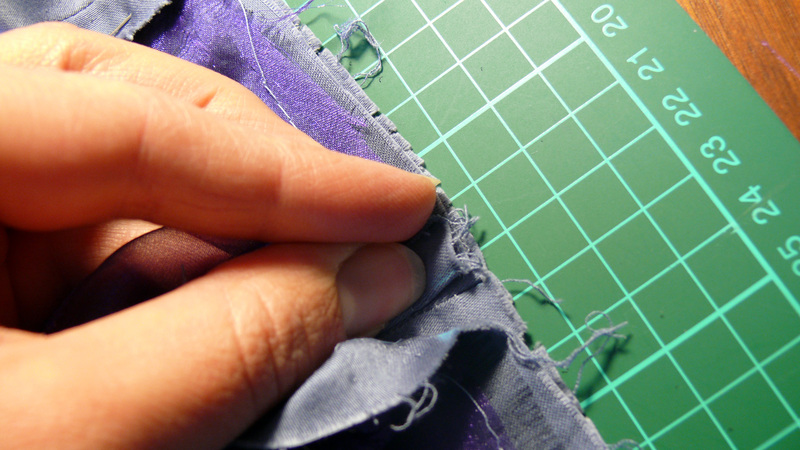 Or, your pattern has been so distorted by your alterations you might as well have drafted the damn thing yourself. Lie your dress flat on the table with the bodice facing down and the right sides facing. 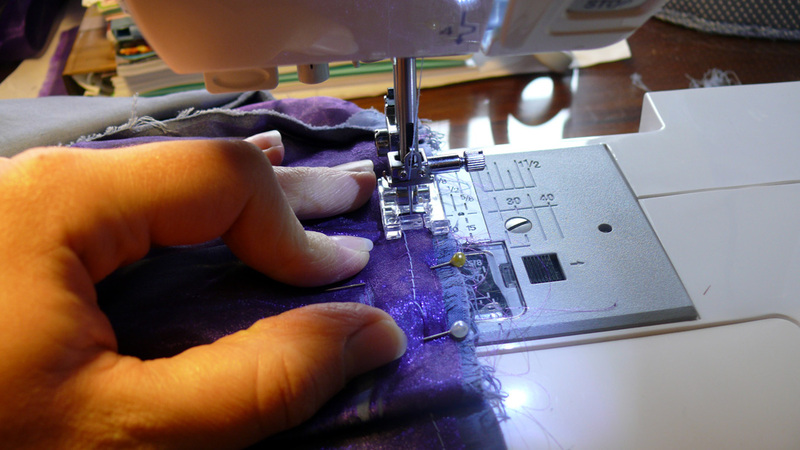 With your side seam and centre back seams pinned in place, pinch the excess fabric back so you can roughly see where your box pleat needs to be made. 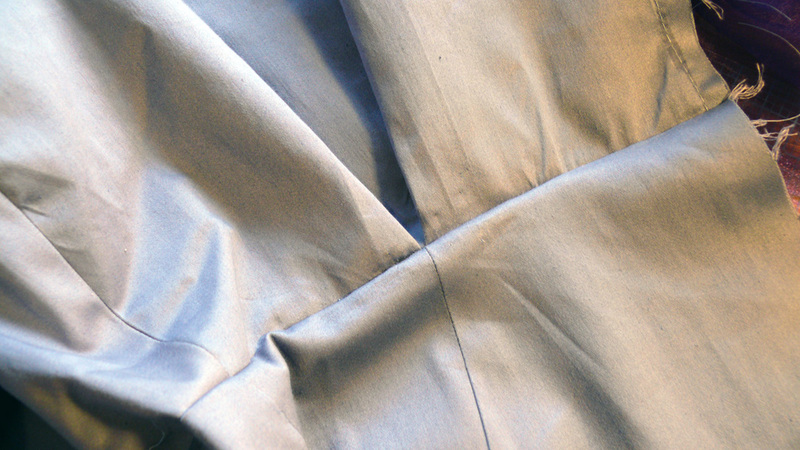 This is how much fabric needs to be pinched out in the pleat. 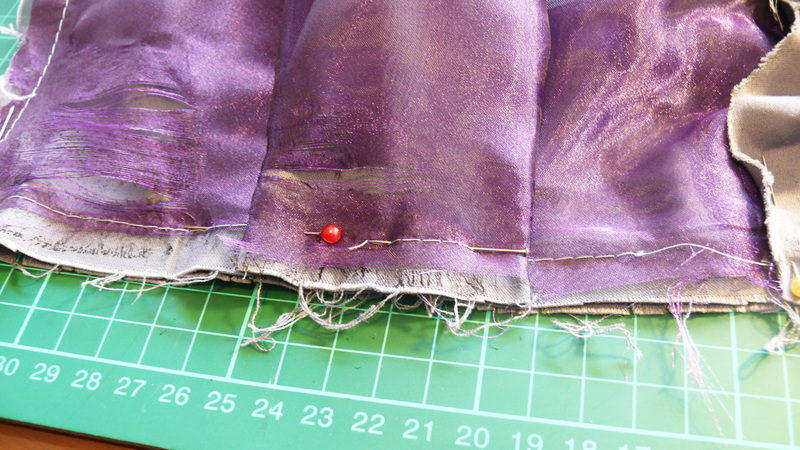 Mark both sides of your skirt as close as you can get to the bodice princess seam. Pin them down leaving as little a gap between them as possible. Now, you can try being scientific about this and measure the width of your pinched-out fabric and matching the half-way point with your princess seam, but when I did that I found it to be less accurate than when I sort of winged it and flattened the fabric out into what looked like about half on either side of the pleat point. 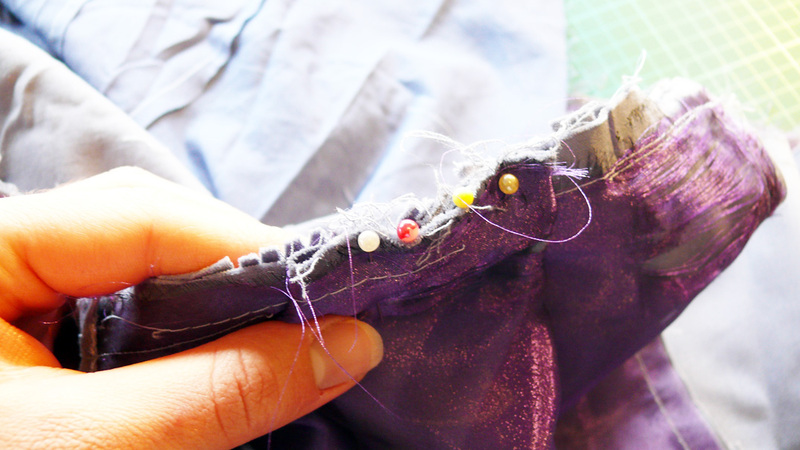 Try pinning horizontally and then holding your dress up to check the pleat lines up with your princess seam, and then you can carefully repin the pleat down so you can sew over the pins. Baste that pesky pleat to check it matches up with your seam and stitch that sucker in place. And voila! A salvaged skirt. Mine looks a bit ragged on the inside. I burnt the damn organza underlining with the iron. Yep, this dress was a real test of my patience! And there you have it. Probably the most goes-without-saying sewing tip on the internet, but I thought I’d share my amateurish method anyways. PS. I JUST finished Elisalex tonight. Will post pics tomorrow. HOORAY!